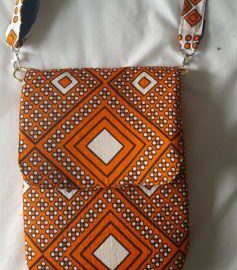 BagsbyBernice – Hand made bags – as seen or bespoke. The process and the product. A number of bag types are available from simple totes to backpacks. Most bags have names. Click on any of the links below to find out more. This simple flap bag can be adapted to include a zipped front pocket hidden beneath the flap.